Jill Elek is one of those unique individuals who not only brings a wealth of knowledge, expertise and experience to her coaching and facilitation, but also enormous enthusiasm, energy and focus. She is truly one of those magnetic personalities who genuinely engages everyone she meets. She has always had a passion for leadership development in herself and in others and has followed this path throughout her 40+ years in the medical profession as an RN, BSN and MSN in nursing in both inpatient and outpatient settings. 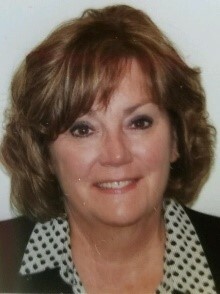 From her beginnings in nursing in hospital settings in the areas of Oncology, Intensive Care Units, Cardiac Care Units, and Emergency Departments, her career path continued as an Emergency Medical Coordinator; an Emergency Department Manager of 2 locations; manager of a 24-hour Clinical Decision Making Unit; Outpatient Clinic; and Cast Room. She then progressed into outpatient service and managed 3 separate dialysis units while facilitating the building and opening of a denovo unit. From there, Jill moved into a Director of Clinical Services role managing 8 outpatient dialysis units and then into her most recent role as an Executive Director of Clinical Operations for 18 out-patient dialysis units. Throughout her nursing career, Jill has been passionate and devoted to bringing leadership and leadership development to every person and organization she has worked with. Having stepped out of nursing, she is now dedicated to working with individuals and organizations both inside and outside of the medical profession as an Independent Affiliate of ProLaureate Ltd. and certified coach and facilitator in The Leadership Challenge and The Leadership Practices Inventory.